One of the most important aspects of America's Way Paving is the one year guarantee we give our clients against raveling and settling. Nothing is worse then getting a year or two down the way and have something that you thought was going to last for years fall apart. At America's Way Paving we provide you with a one year guarantee that gives you peace of mind for just this type of situation. Through out New Jersey in towns like Allendale, Paramus, Saddle Brook and Clifton people are receiving a safety net for their hard earned money. 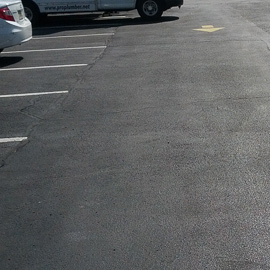 We want you to feel we are the best decision for your driveway paving and sealcoating needs.